SAVE THE DATE: 3 October 2018. Did you know? Transgender people avoid access to HIV prevention and quality healthcare because of fear of discrimination. 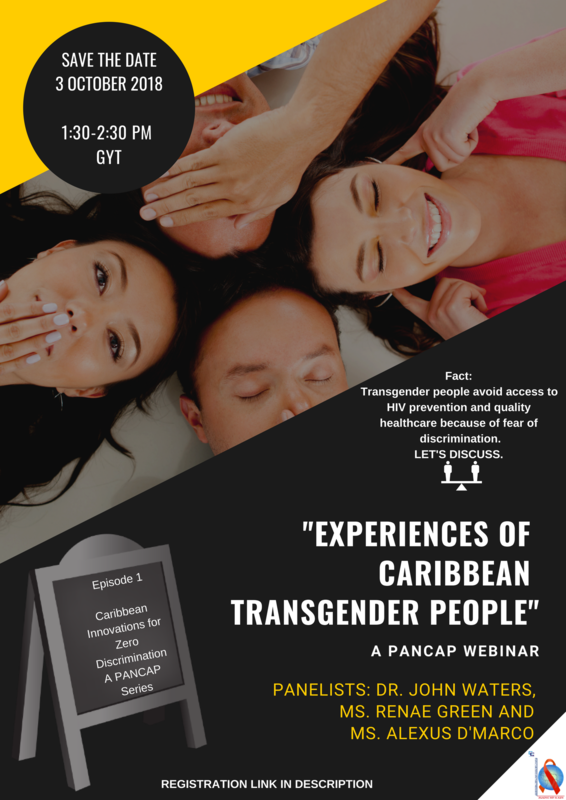 Join us for Episode 1 of the PANCAP webinar series “Caribbean Innovations for Zero Discrimination”.